There is no longer a need to send an email to get a software key, so you should be able to download SigmaStudio right away from our new website. 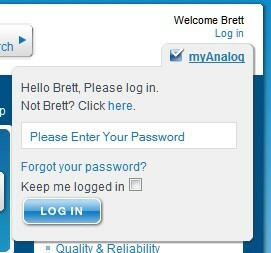 • Log in to the Analog Devices website ( http://www.analog.com ) using your myAnalog account. If you don't already have an account, register for one. You can access myAnalog in the upper right corner of the webpage. • Click “Download the latest SigmaStudio release”, or “Download the latest SigmaStudio beta release”, depending on if you want the latest release or the latest beta. Be sure to select the right OS version (32-bit or 64-bit). • Fill in the Software download form. This form just contains a few basic items that describe your application. • Under “Target Hardware”, select “Other” and then type “SigmaDSP” in the text box that appears below it. • You should then be able to download the software.